Note: This is a sponsored post. I have been provided with an Akroma masternode to test this new platform out and review it. While this does not really make me biased towards the project, I thought it was important to clarify this before we move on. Akroma is one of the newest Ethereum forks that has implemented the masternode technology. Masternodes offer better decentralization, enhanced network security and reward users who are loyal to the coin. If you are new to this topic, to host a masternode basically means to lock a certain amount of coins in your wallet. Then, you would need to run the masternode software on a computer and have it connected to the network 24/7. Masternode mining is kind of the middle ground between PoS and PoW mining. Compared to holding the coin until its price rises, a masternode generates a passive income. In this guide, we will go from A to Z on how to set your own masternode up. First of all, you will need a computer with a static IP and Linux. 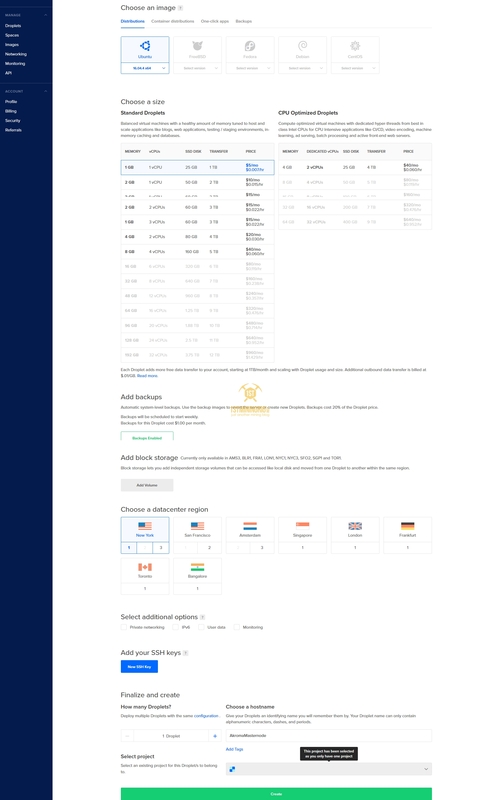 To get static IP, you will either have to talk to your ISP (upgrading to an internet connection with a static IP usually costs a bit extra) or use a third-party service like DigitalOcean. Your distro must use either yum or apt. Your computer that hosts the masternode is required to have an uptime of 99.0% or more over the past 24 hours. A sum of 5001 AKA on your wallet. While the masternode requires 5,000 AKA, you will need 1 more to do the test transaction, as detailed below. Do note that having more than 5001 AKA on your wallet will not make the masternode mine faster. If you feel like investing more into masternode mining, you might want to consider hosting multiple nodes instead. Then click on “Save Your Address“, unlock your wallet to get the address by clicking on “Keystore / JSON File” and select wallet file that you saved earlier, enter the password and once logged in you will receive a confirmation message. 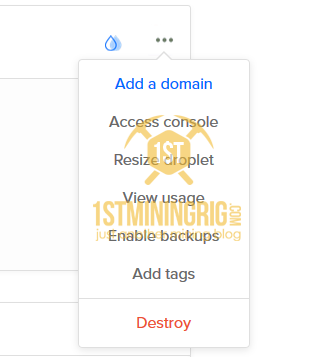 A new window will popup and it will ask for login, type “root” hit enter, a password is asked and it was emailed to you “Your New Droplet: AkromaMasternode“, copy it and then go to the console right click -> paste (no characters will be displayed) and hit enter. You will be asked to change current password with something else that you can remember, so for that enter again the default password and then write the new one two times for confirmation, the results should look like this. You can close the session now! Enjoy! Make sure you activate the alerts! If you are going to host your own masternode, you might be interested to know what will it do and how will it work. If you have had hosted a masternode before, you might be surprised to know that Akroma is different. Let me elaborate. We know that Dash was the first cryptocurrency to implement masternodes in their PoW system. Their masternodes allow Dash to have Instasend, Privatesend and Decentralized Governance. Other coins to implement masternodes usually follow Dash’s footsteps. While Akroma has learned a lot from Dash experience, the way its masternodes work is more similar to Earn or Steemit – A centralized entity rewards Akroma network participants for taking actions that are positive to the platform. This means that Akroma masternodes do way more than validating transactions. Other roles include bootstrapping the network, secure tasknets and do all sort of other important tasks as part of the infrastructure. Since Akroma is a platform for developers, we can speculate that the amount of ways a masternode can contribute to it is quite high. How profitable is to host an Akroma masternode? As for today, an akroma masternode takes a year to pay off. This will obviously change – hopefully, for the better. We will see. For more info, read my full Akroma review here. Masternodes is one of the features that makes Akroma stand out. It is not too common for a PoW coin to have a masternode system, despite the benefits it brings to the network. I would like to remind you that by no means am I a financial advisor. This article merely reflects my personal view on the project. Please make your own research and only invest the money you can afford to lose. Cryptocurrencies are volatile and there is no warranty that what we invest is going to pay off. Thanks for reading! 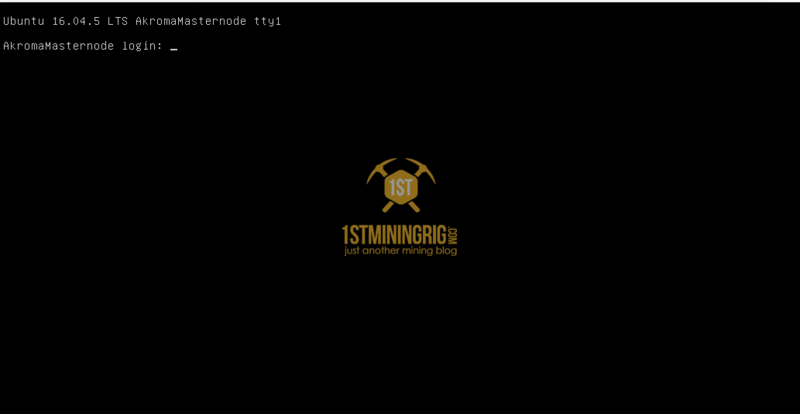 The post How to Set Up Your Own Akroma Masternode appeared first on 1st Mining Rig.